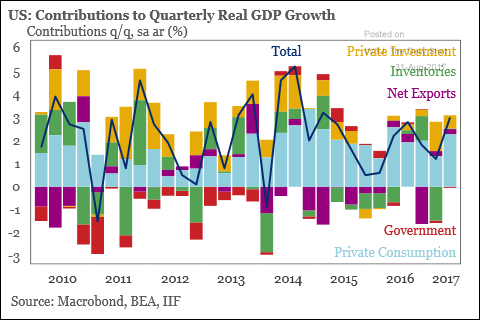 The United States: The second-quarter GDP revision also surprised to the upside. 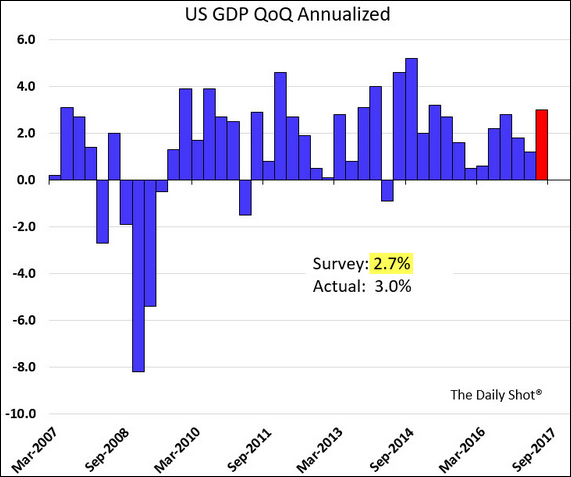 The consumer carried the day again (in blue). 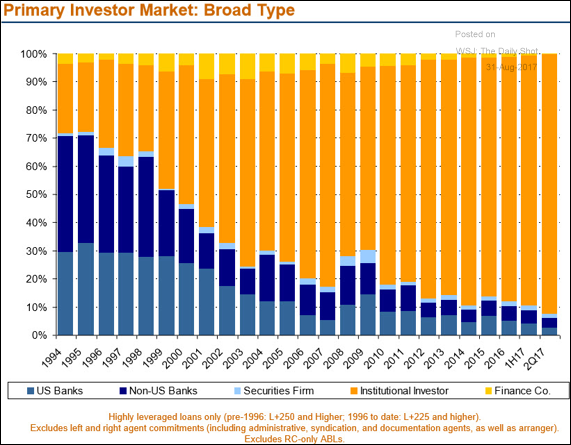 Credit: This chart shows banks pulling out of corporate leveraged loans, as institutions (such as BDCs, CLOs, credit funds, hedge funds, etc.) pile into the market. 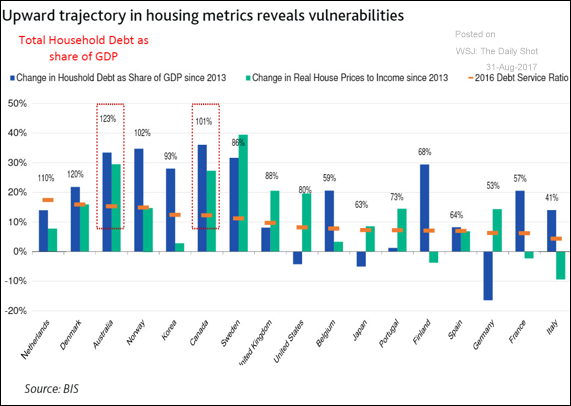 Global Developments: This chart shows the state of residential housing credit for select advanced economies. 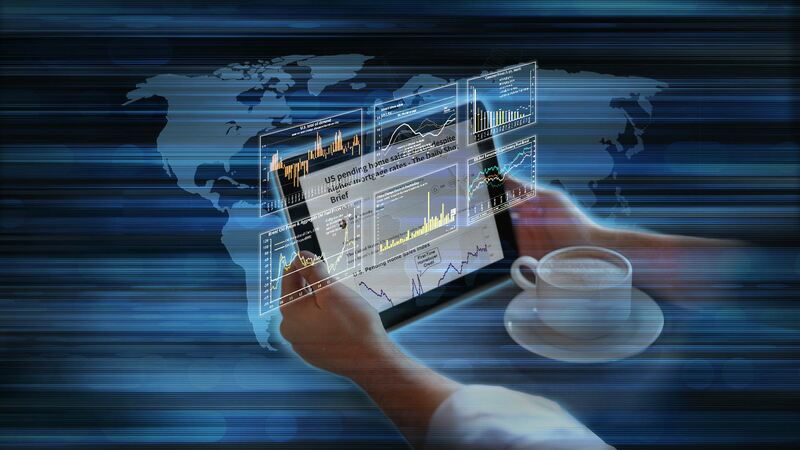 Energy Markets: Prices at the pump are rapidly rising ahead of the Labor Day weekend. 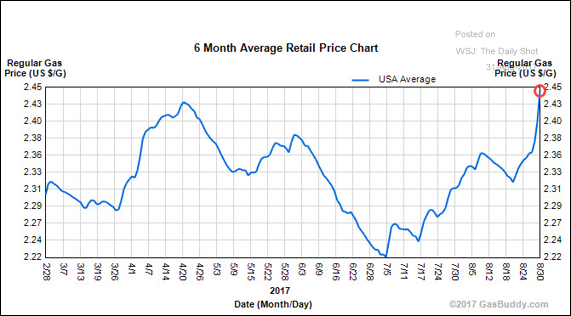 Here is the average US retail gasoline price. 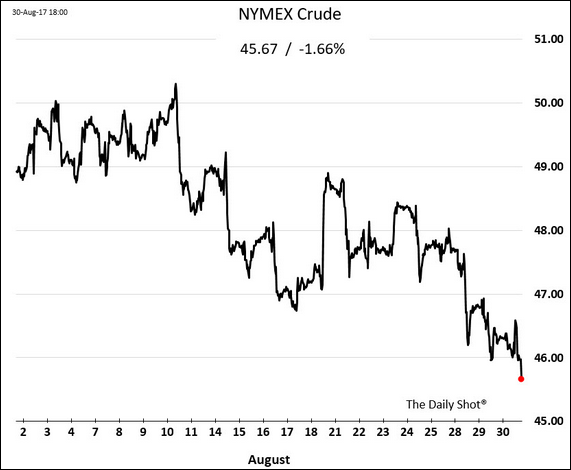 With refinery demand plummeting amid dwindling capacity, US crude oil continues to trade lower. The Eurozone: This chart shows the total debt composition for the largest Eurozone economies. 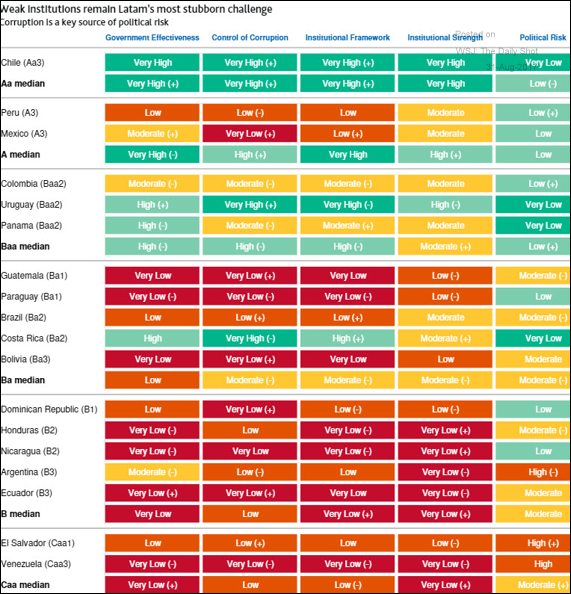 Emerging Markets: This table shows the breakdown of political risks across Latin America. Food for Thought: What concerns do Americans have about the nation’s colleges and universities?